Connecticut utilities are seeking low and zero emissions renewable credits (LREC/ZREC) through a program that makes money available for microgrids, renewables and other clean energy. Now in its sixth year, the $1 billion program is meant to reward various kinds of behind-the-meter projects for their ability to reduce emissions. In doing so it differs from most REC programs, which incentivize projects based on their use of renewable or highly efficient generation, not their emissions’ profile. 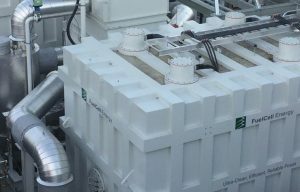 A fuel cell microgrid that went live last week in Hartford offers an example of how microgrids can participate in the program. The Parkville neighborhood microgrid won an LREC contract in an earlier utility solicitation. For the last five years, Connecticut’s utilities — Eversource and United Illuminating – have sought bids annually to buy about $8 million/year of ZRECs and $4 million/year of LRECs. For this year, the utilities plan to buy about $4 million/year in LRECs and $4 million/year in ZRECs. Since this is the final year of the program, the utilities also will offer any carry-over money left in the budget from previous years. This money comes from projects that were awarded ZRECs but then not built. Or the projects turned out to be smaller than originally planned. This year’s solicitation also differs from previous years in that the utilities plan to go out to bid twice. 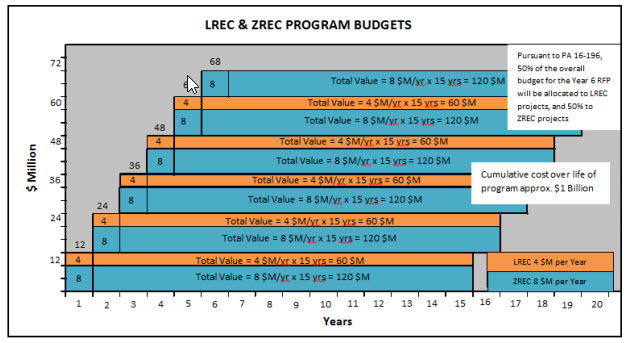 Issued April 27, the first solicitation seeks contracts for 60 percent of the LREC/ZREC funds in this year’s budget. Bids are due June 8. The utilities expect to announce winners around July 12. The second solicitation, which the utilities expect to release before the end of October, will offer the remaining funds. Prices are capped at $243.48/ZREC and the LREC prices at $200/REC under state law. As the name implies, a ZREC comes from a facility that produces no emissions, such as solar and wind power. An LREC must have emissions of no more than 0.07 pounds per MWh of nitrogen oxides, 0.10 pounds per MWh of carbon monoxide, 0.02 pounds per MWh of volatile organic compounds, and one grain per 100 standard cubic feet. A bidder’s conference is planned for May 12. The RFP is available on the United Illuminating website. While the LREC/ZREC program is not designed specifically for microgrids — but accepts a broad range of clean tech — another state program makes money available for microgrids specifically. Called the Connecticut Microgrid Grant and Loan Program, it has a $30 million solicitation now underway. What other states make money available for microgrids? 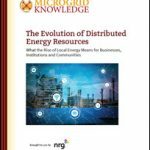 Check out the Microgrid Knowledge financing channel.